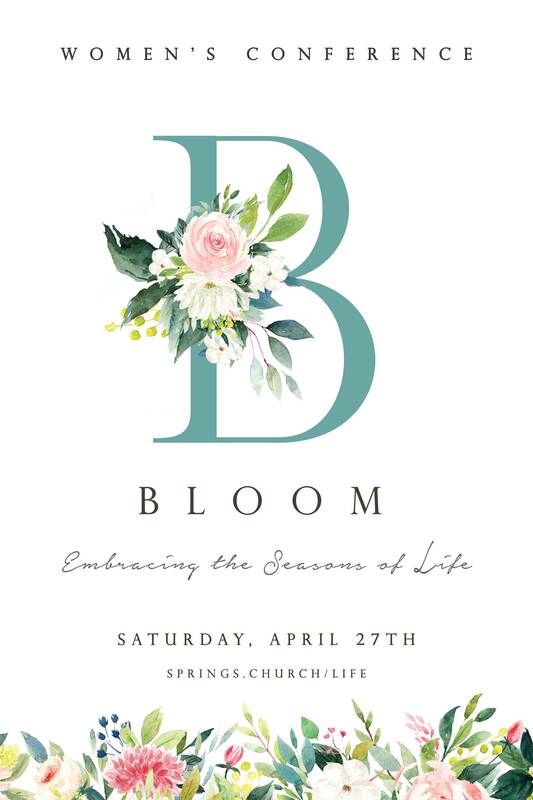 The Women’s Ministry Team would like to invite all Springs Church women to join them for a day conference on April 27th. The cost, including lunch will be $25 if you register by April 19th. Our own Christine Dell will be speaking and breakout sessions will be offered. A wonderful day filled with friends, worship, and discovery is being planned for you! Childcare is available by RSVP only. You can register in the lobby on April 7th & 14th or anytime online by clicking the button below. Information about our speaker: Christine Dell has been involved in women’s and family life ministries teaching inductive bible studies, and speaking at conferences. She sees herself as an encourager and enjoys the gift of hospitality, and has served in many capacities while living in Zimbabwe, South Africa, Denver, Sydney and Doha. Christine has enjoyed serving and teaching on various mission trips to Ukraine and Jordan. She is also a retired nurse and midwife. Christine is very excited to share her journey of being rooted and built up in Christ, strengthened in faith, and overflowing in thankfulness.